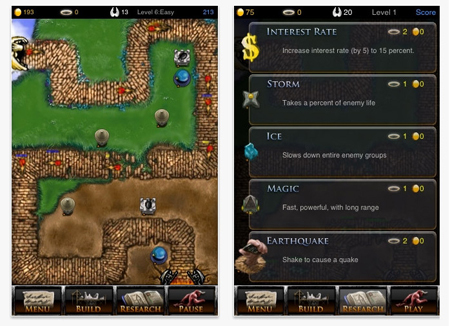 Looking for the best iPhone tower defense games which will compel you to think and strategize for hours on end? Then run through this roster which has titles that will keep you hooked onto your iPhone for long periods of time, making the victory that much sweeter. Read on to find out which of the following is set to become your virtual companion soon enough. Strategize, think, re-think and act to protect the doors of Heaven from the evil, virtually, of course. Featuring first on our iPhone tower defense games lineup is TapDefense which brings you 42 mind-tickling levels, 6 towers and 7 enemy types along with 6 different game modes. While you are busy cutting down the evil brood by constructing towers in their path, don’t forget to keep tabs on the interesting content updates which won’t cost a penny. With the new upgrades that are rolled out, you can immerse yourself in enhanced gameplay to keep going by relying on your intellect to take you till the end. You may even challenge your pals who can then probably nickname you the ‘Tower Defense master’ as far as this particular title is concerned. Okay, so in this tower defense game you will have to put your brains to use for protecting your flock of sheep from being turned into intergalactic scarves by the evil aliens. 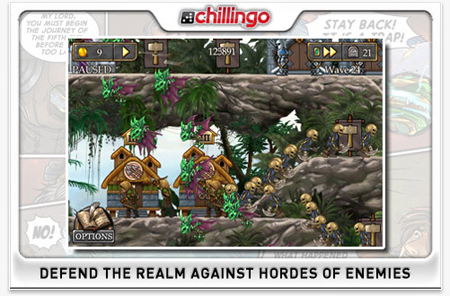 Players can get an aerial view, just like other tower defense games proffer or with the integrated 3D Retina graphics, they can zoom down to first person for a closer look at the ongoing action. You will have to brave 17 different enemies with the available 9 standard weapons wherein, each receives 5 or more upgrades. Additionally, there are the Flamethrower, Proximity Mine and Flash Bait which make up the list of weapons which can be bought. The offering also includes 56 maps and an additional 26 purchasable ones so that you continue to stay intrigued and enjoy long hours of gameplay. 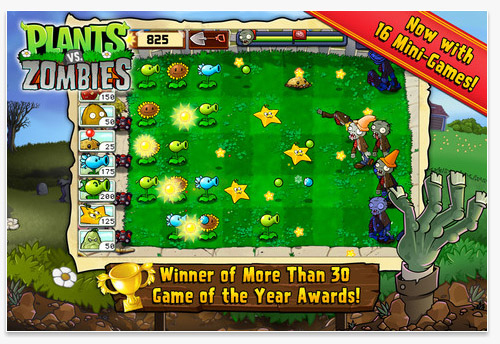 We couldn’t possibly have missed out on Plants vs. Zombies when chalking down an iPhone tower defense games lineup. 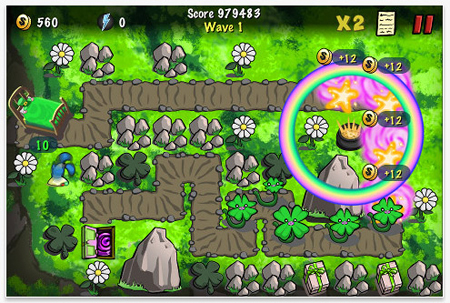 With the undead gearing up to attack your abode, you can employ 49 zombie-zapping plants to get even with them. Dabble in 50 levels of adventure-filled gameplay which require you to think on your feet since each mindless menace comes with their own set of special skills. Even when you are neck-deep in the battle for survival, you are required to keep a tab on the supply of greens and seeds. Furthermore, gamers can earn themselves 49 perennials and coins to last longer by buying power ups and the likes. You can head to the iTunes store to download this software and begin zapping the zombies out of the picture. 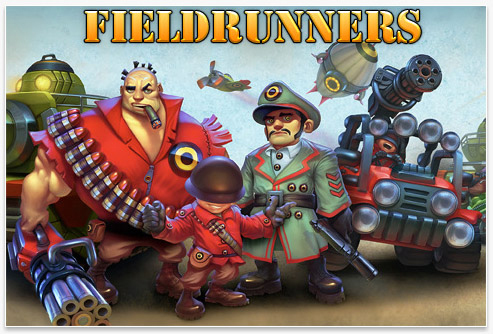 The Fieldrunners title claims to bring limitless adventure wherein, you can control and defend your field by deploying a varied selection of towers which may be upgraded. 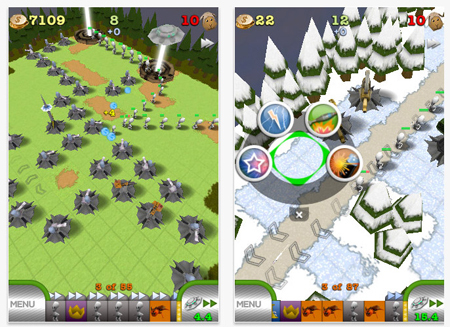 Naturally, tactics and strategies have to be put in place so that you can take over the fieldrunners. You will have to face air combatants amongst other obstacles that this game drags in with it. Content additions to the title will bring new experiences for ardent players. So you can visit iTunes to install this game which may probably find a permanent place on your handset. Many ardent players may agree that time flies when indulging in iPhone tower defense games and Defender Chronicles – Legend of The Desert King is no different. You might consciously want to keep an eye on the clock, but chances are you may be lost in defeating the Orc king who had slain the human king, Lord Mark. Now you have to fulfill the prophecy by becoming a legend and leading the army to protect the Empire and emerge victorious. The title is complete with secrets from the Great Library which require to be unlocked, unlimited gameplay within the freestyle mode and more. You will also have the option to choose between might and magic heroes and embark on a tantalizing virtual journey of sorts. If your closet has creeps living in it, then you will naturally want to deal with them head on. Imagine this adventure being sprinkled with fun that tickles your grey cells and this is what The Creeps! intends to offer ardent players. It’s complete with interesting and addictive gameplay which may render you incapable of wanting to do anything else. Since you chose to ignore the warning, go ahead and dive into the plot. As you may have guessed, you are required to battle it out with the creeps in the wardrobe and use glue bottles, flashlights and toy blasters amongst other things to deal with them. Enjoy levels with different themes, 5 bonus levels, 7 Thanksgiving-themed and 7 July 4-themed levels for free as well as 30 other levels. 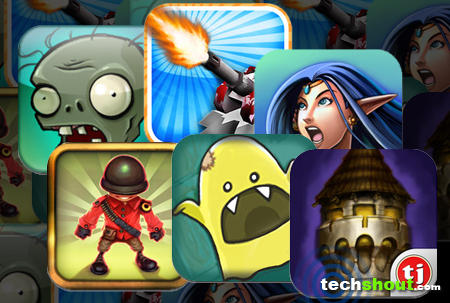 This is where we put a stop to our best iPhone tower defense games list which has been compiled just for you. Don’t forget to drop in with a comment and tell us about how these titles made it difficult for you to take your eyes off the handset’s screen.